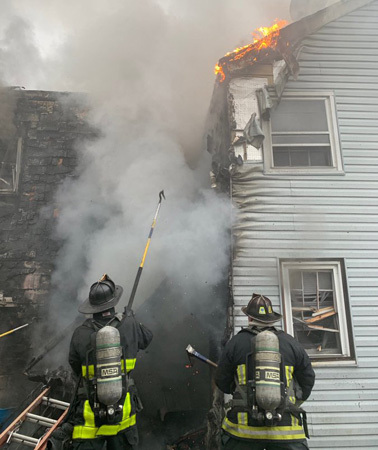 The Boston Fire Department reports two residents a house on Dever Street, at Bowdoin, were taken to the hospital with minor injuries today when their house caught on fire. Read more. Mark Lundy, 24, had bail set at $25,000 yesterday on charges he killed Guy Beaubrun by hitting him with his car on Bowdoin Street near Geneva Avenue and that he then drove away around 1:30 a.m. on July 8, the Suffolk County District Attorney's office reports. Read more. Boston Police report they are looking for the motorist who collided with a motorcyclist on Bowdoin Street early Sunday, then drove off. Read more. 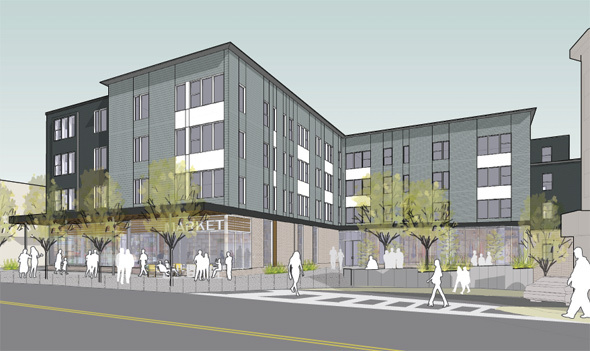 The Board of Appeals today approved a plan to turn two vacant lots on Bowdoin Street across from Olney Street into a building with 41 affordable apartments and a 6,000-square-foot customer- and worker-owned grocery store. Read more. Boston Police report arresting a Roslindale 16-year-old on gun charges after officers found him with a gun loaded with five rounds around 11:40 p.m. on Friday on Bowdoin Street near Quincy Street. Read more. UPDATE: Victim identified as Phillip Demings, 17. At Bowdoin and Adams Street around 7:15 p.m., Will and Coli and Boston EMS Incidents report. UPDATE: Friends are identifying the victim as Nat Gomes, a worker in the store. KMV reports the man was shot inside Peguero's Market, 218 Bowdoin St. in Dorchester. Boston Police report the victim, a man in his 20s, was shot around 11:45 p.m. on Friday and was pronounced dead at the scene. Thomas Frank Isaac Jr., 21, of Braintree was arraignnetd on a murder charge today for the death of Nelson Torres-Santa, 55, who was found dead and partially decomposed in his 330 Bowdon Str. apartment on the afternoon of Nov. 13. Read more. College Bound Dorchester reports one of its employees is recovering after being shot at its 222 Bowdoin St. location around 3 p.m. yesterday. Read more. Boston Police report officers investigating two separate reports of gunfire arrested two men with loaded guns on Saturday - one of whom had his guns fall down his pants to the ground. Read more. Boston Police report officers responding to gunfire at 28 Bowdoin St. last night arrested two men on gun charges a couple blocks away on Corona Street. Read more. Edgardo Clark today pleaded guilty to voluntary manslaughter for killing Gerald Williamson outside Chung Wah on Bowdoin Street on Oct. 16, 2014, the Suffolk County District Attorney's office reports. Read more. Boston Police report arresting Kassan Germain, 25, of Dorchester, on a variety of gun, assault, drug and and motor-vehicle charges after he allegedly rammed an unmarked police vehicle in his way. Read more. Around 11:10 p.m. at Bowdoin and Tebroc streets. Boston Police report a woman walking with her guide dog was indecently assaulted at Beacon and Bowdoin streets around 10:05 a.m. today. Anybody who saw something can contact detectives at 617-343-4400 or the anonymous tip line by calling 800-494-TIPS or by texting TIP to CRIME (27463). In the lower torso and leg, around 4:35 p.m. at 43 Norton St., near Bowdoin. Due to the severity of his injuries, homicide detectives were called in, just in case. WBZ reports the 7-year-old was riding his bike on Bowdoin Street near Quincy Street and was up from Brockton to spend the weekend with his grandmother. An adult was grazed in the head by a bullet in the same incident. At least three people were shot around 8:25 p.m. in the area of Bowdoin and Norton streets. Boston EMS Incidents reports one victim was shot several times in the chest, another in the stomach and legs and the third in the arm. The homicide unit was called in due to the severity of the first victim's injuries. Hamilton Hardware on Bowdoin Street is going out of business, two years after it celebrated its 90th anniversary.